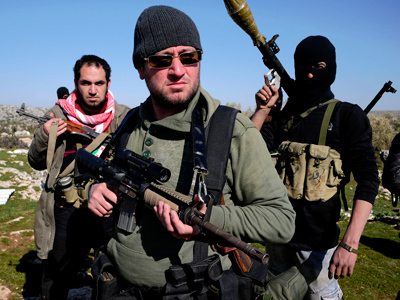 Free Syrian Army (FSA) militants are about to go on the Saudi payroll, the country’s officials shared with The Guardian. Riyadh believes this step will encourage defections within the Syrian military in the latest bid to oust President Assad. 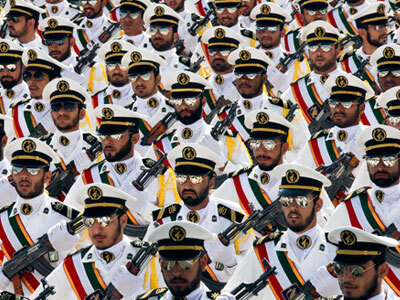 ­Saudi Arabia plans to pay future military deserters in dollars and euros as a counter to the greatly devalued Syrian pound Damascus uses to pay the military. The pound has been falling ever since the anti-regime revolt started 16 months ago. This decision was reportedly made about a month ago, right around the time the Syrian opposition began receiving armaments and other supplies via the Turkish border. The Guardian says Qatar and Saudi Arabia began supplying the FSA with Kalashnikov assault rifles, anti-tank missiles and RPG in mid-May. Saudi Arabia and Qatar have been paying salaries to the Syrian rebels for several months now, Russia’s Interfax news agency reported Saturday. This information was leaked to journalists by an unspecified Arab diplomat on condition of anonymity. “The money has been paid for several months now in accordance with an April 2 agreement made by Qatar and Saudi Arabia. 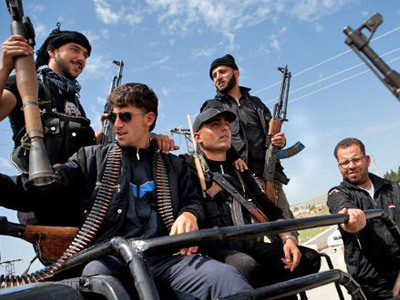 Turkey, which hosts some units of the Free Syrian Army, ensures material and technical support,” the diplomat revealed. Riyadh has just held consultations on the issue with the US and some Arab countries, the Guardian reports. America’s side was represented at the meeting by US Senator Joe Lieberman, a passionate proponent of the Syrian opposition. The issue of FSA salaries was discussed during Lieberman’s visit to Lebanon and Saudi Arabia. Lieberman’s spokesman Whitney Phillips stressed that the senator “specifically called for the US to work with our partners to provide the armed Syrian opposition with weapons, training, tactical intelligence, secure communications and other forms of support to change the military balance of power inside Syria”. "We made a decision not to provide lethal assistance at this point. I know others have made their own decisions,” US Defense Secretary Leon Panetta announced this week. Turkey, the key country in the arms supply project, has been hesitant about getting involved in distributing arms from its territory and demanded diplomatic screening from the US and Arab states. Finally, Ankara agreed to provide ammunition transfer points for firearms coming from Qatari and Saudi Arabian military supply depots. Ankara also agreed on establishing a Syrian opposition command center in Istanbul to coordinate arms supplies to Syria and maintain contact with scattered opposition groups. Twenty two people are currently manning the center, most of them Syrian citizens. 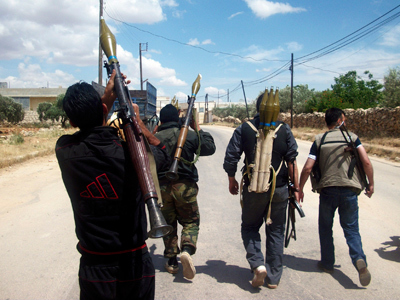 The Guardian has also named one of the Syrian opposition arms delivery centers. It is operating in Reyhanlı, a town in Hatay province on the Mediterranean coast of Turkey, practically on the border with Syria. 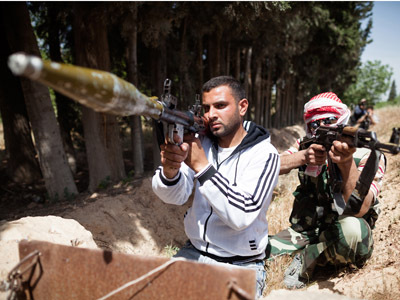 Syrian opposition emissaries are paying for arms and ammunitions in cash, the newspaper reports. Washington has been playing a very active part in efforts to topple the Syrian regime, though withstanding from taking the lead in widely discussed possible intervention of Syria, probably because of upcoming presidential elections. The New York Times reported on Thursday that CIA operatives are operating on the Syria-Turkey border, heading the arms distribution process and collecting intelligence about various Syrian opposition groups. The Guardian also revealed that a couple of US intelligence officers were operating in the Syrian city of Homs throughout winter in an attempt to organize scattered rebel groups and put them under a unified command. 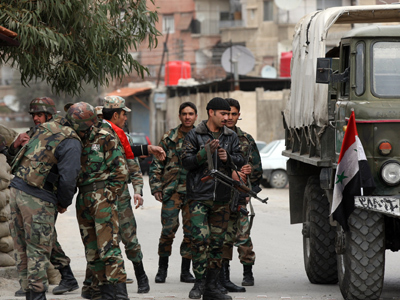 The success of their operation remains doubtful, as the Syrian rebels were practically defeated by May, which may explain why the Arab states opted for direct payments to Syrian militants and defectors. 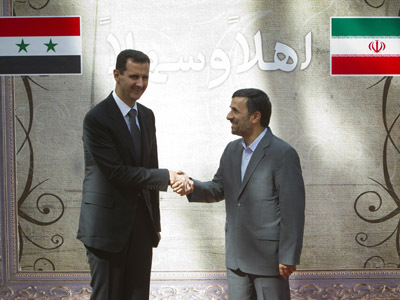 The most active anti-Assad states – Qatar, Saudi Arabia and Turkey – were all onetime allies of Damascus. 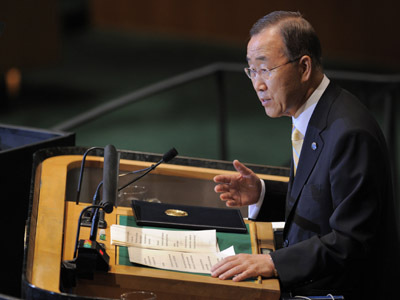 However, the ongoing uprising in Syria has served to spoil their relations with the Assad regime. 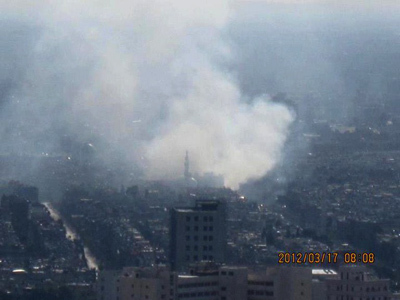 The violence in Syria has continued to escalate over the last 16 months. 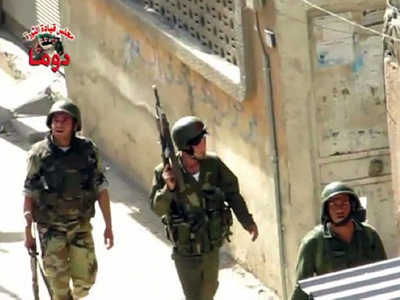 Syrian regular army and police are now confronting what they call foreign-sponsored Sunni Muslim militants. According to the UN, the total number of causalities on all sides has surpassed 12,000 people, with about 230,000 becoming refugees as a result of the conflict. The next three to six months are going to be crucial for Syria, an unnamed intelligence source shared with The Guardian. The defeat of the Assad regime might create a power vacuum in Syria, vastly increasing terrorist activity throughout the country. 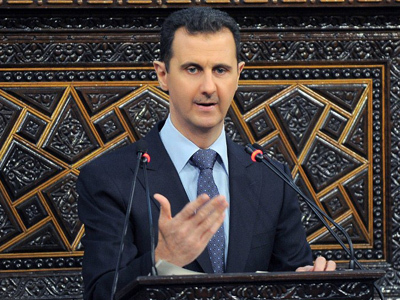 Ousting Assad: Western panacea to Syrian conflict?